Te ofrecemos este servicio voluntariado italia en uno de las mejores organizaciones de acogida de Italia a la que hemos enviado varios voluntarios. The project ” NOBODY – NO BOrders Divide Youth – “ will include 2 volunteer (male or female at least 21 years old) who will spend her/his EVS for 12 months in our organisation from july 2018 to june 2019, even if the project is open to male or female candidates we will prefere, for gender balance, a male volunteer. The Projects and Resources Office was born from the necessity of the Administration to obtain regional, national and European grants. The office cooperates with all the Sectors of the Municipality and supports the creation of local, European and international partnerships to participate to several calls for proposals. The office has the following functions: search and dissemination of information concerning the open calls for proposals and the possibilities to join a partnership, support to the presentation of project ideas for different calls for proposals, establishment of territorial partnerships assistance for managing and accounting projects, keeping contacts and establishing relationships with the Financing Institutions, constant updating of the database containing information about all the Municipality’s projects, training sessions for the municipality’s employees about the project cycle management, disseminating information and raising awareness about regulations, policies and programs of the European Union, translation, interpretation and language teaching for volunteers of the national civic service and of the European Voluntary Service. 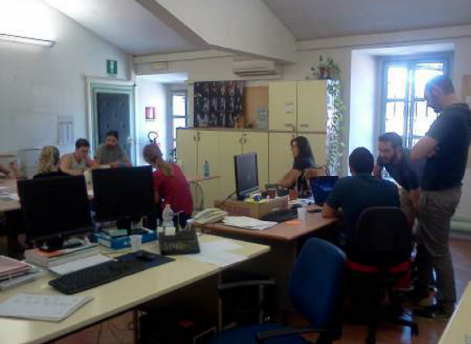 The office is also in charge with Italian National Civic Service (about 90 volunteers) and Youth Guarantee Projects (30 volunteers) and others participation projects.  Drafting and dissemination of leaflets, brochures etc. The project aims at offering the volunteer the opportunity to work together with the professional staff to know how to prepare a project, to managed it, to establish and maintain contacts with all partners. to collect pictures, videos or other multimedia production of her activities (all those production remain property and copyright of the Municipality of Cremona and any different use from the project aims/purpose is forbidden without specific authorisation) the participant is bound to secrecy about all data, facts and aspects she/he gets to know during her work , also after her EVS according with the rules of the organisation. Accommodation will be provided in a single room with two beds in a shared apartment with other participants (female). It is located next to the historic city-centre, close to the working seat (10 minutes on foot) and to the railway station. The flat, located on the first floor of an historic building, is a big open space of about 28 square metres with modern living-room furniture, a sofa bed, two single beds, a wall equipped to cook, table, chairs, washing machine and a set of saucepans; in another small room there is a small wardrobe. There is also a bathroom, with bath tub/shower and toilet; the house has two big windows. There is internet connection and bed sheets. It is next to the supermarket, chemist’s shop and other kinds of stores. Every volunteer will receive a personal bike to move in town. Volunteer will receive each month a pocket money of 115 euro. Working time is 36 hours per week. In case there is more work during the week end or working time not scheduled, the participant can be compensated with free days. The participant has 18 days holidays for his 9 months voluntary service ( 2 days per month,) which has to be planned in the beginning of the service according to the annual plan of the activities. Peaceful and friendly town in the north of Italy, nearby to Milan, Cremona is the capital city of the same Province in Lombardy; the city has 72000 nhabitants. Young people population (14-35 years old) is made up of 15.000 people, that is the 21% of the inhabitants. The town lies on the river Po, in the hearth of the Po valley and its economy is mainly connected to agriculture. 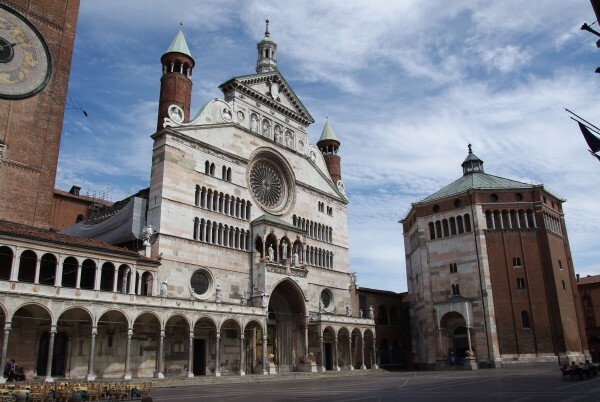 Cremona is also an important historical town, founded more than 2000 years ago by Romans, is rich of monuments from Medieval to Baroque and Neoclassical period. Cremona has old musical tradition: here were born and worked the families of the world’s most famous luthiers, or stringed instrument makers (Amati, Stradivari, Guarneri) and from Cremona are two of the most important musician of XVII century: Ponchielli and Monteverdi. About European and international dimension in town there is a great number of people ( young strangers), especially connected with the local international school for luthiers. 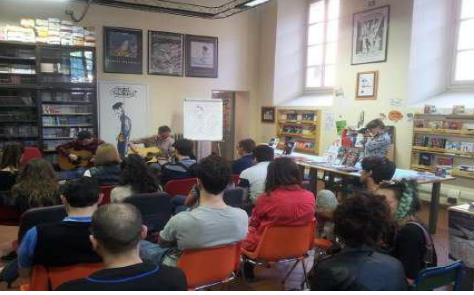 Also there are several EVS ex volunteer (Italians that had a evs experience abroad and European who have decide, after their Evs year, to remain in Cremona for study or for work) all them are still connected. Buon giorno, scusa, ancora poso inviare la mia solicitudine per queste programa? Hola Saira, el plazo ya ha pasado, lo sentimos, pero tienes otros proyectos en Italia: https://www.yeseuropa.org/voluntarios-norte-italia/ suerte!